Nothing much of significance……financial, easy money and of the corrupt kind of significance… happens in Kuala Lumpur today without a titled Malay being involved in the process. More often then not, their involvement, unlike that of the Three Amigo, has nothing to do about Justice being done, nothing to do about doing their bit to right injustice, alleviate sufferings nor is it to ensure that liberty is there for everyone….no lah…none of the above. These titled datuks are more inclined towards matters of the financial kinds…easy money at the expense of others..to line their deep pockets and sate their odious greed. In the matter of Surul Azhar Umar, there are indeed many datuks involved in “taking care of Sirul’s interests” from the day he was arrested for the murder of Altantuya. Most of these datuks go as soon as there see no financial gain from their involvement in trying to get to the bottom of the Altantuya murder…but not so three datuks that have got involved from the day of his arrest. The first two datuks who got involved and stayed for the course until today went in first for the glamour of doing a high profile murder case that would propelled them straight to the apex of public recognition. Who now do not know of Dato Kamarul and Dato Hasnan. Khairul has visited Sirul at least four times in Villawood…maybe five and will be coming again soon. 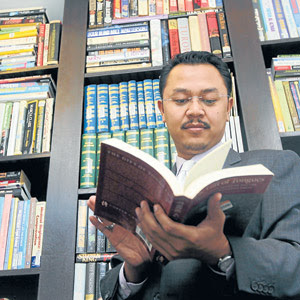 Why would this ex Ketua Pemuda Umno Bahagian Kluang, ex Naib Ketua Pemuda Umno Johor dan ex Ketua Sekretariat Perundangan Umno Malaysia resign from all his Umno posts? 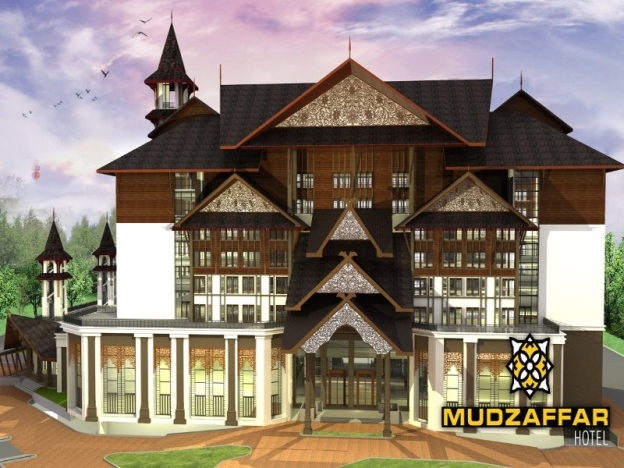 This guy is also head SukaGuam and he organised the “Nothing to Hide” dialogue that turned into fiasco, bought a Five Star The Mudzaffar Hotel in Malacca and is head of his own Khairul Group business empire with interest in Europe and Asia Barat. Now why would this Datuk make five trips …maybe more…to see Sirul in Villawood? Did he do so in his capacity as Chairman of SukaGuam an NGO that “tawar khidmat guaman percuma?”…but have you heard of any genuine NGO that is prepared to pay for its Chairman to visit a detainee in need of its services in Sydney not once or twice…but five times and counting? And what services has this Datuk or Sukaguam offered Sirul? In these next week or so we will examine what these Three Datuks have done, or not done for Sirul Azhar Umar. I would put the emphasis more on what they have NOT DONE FOR SIRUL and what they HAVE DONE FOR THEMSELVES. For the time being just ponder on this : How is it that Sirul Azhar Umar, a detainee in Villawood, managed to get himself an expensive mobile phone to make that video? Who gave him the money? Who scripted what Sirul said in that video? Why did Sirul make the video. Why would a Corporal think that he should exonerate the Prime Minister of Malaysia from involvement in a crime he committed? ….and there are many many other unanswered questions that we want answered…and these answers I will attempt to give in the coming days. Enough said for now.